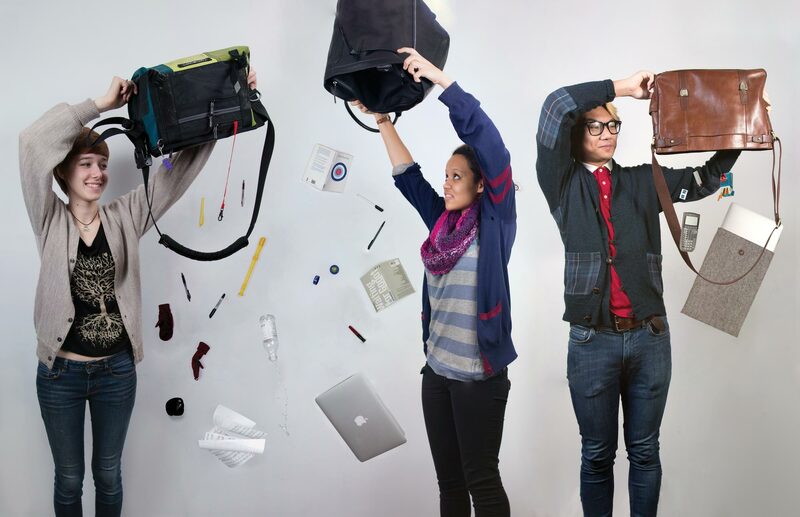 We dissect the anatomy of student bags. Photos by Jeremy Gaines and Michael Nowakowski. Art by Alex Lordahl. Left: Kittie Cooper, Bienen sophomore. Classical Guitar Performance Major, General Music Education Major, English Minor. Center: Kirra Silver, Communication junior. Theater Major. Right: Paul Salamanca, Weinberg freshman. Mathematics Major.